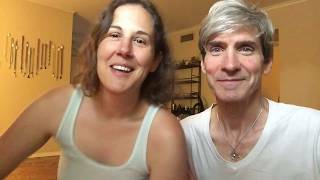 David and Leah are passionate about Spiritual growth and exploration, playfulness, connection, adventuring, traveling, community and teaching. They have been teaching together nationally over the years: Vedic Thai Yoga Bodywork, relationship workshops, Yoga, meditation, and energy healing. It is their greatest joy to share the best things they learn with others!Leah Misty is an energy healing practitioner, crystal energy jewelry designer, licensed massage therapist, and animal communicator. David Tietje has been teaching yoga for over 20 years, is a licensed massage therapist and instructor, a lover of conscious dance and kundalini yoga. Based in Dallas, Tx, they love vegan and raw foods, Dallas Int'l Film Festival, and have a very "priceless" cat named Pepper. David is an excellent, compassionate teacher.